Wei JS, Kuznetsov IB, Zhang S, Song YK, Asgharzadeh S, Sindiri S, Wen X, Patidar R, Nagaraj S, Walton A, Guidry Auvil JM, Gerhard DS, Yuksel A, Catchpoole DR, Hewitt SM, Sondel PM, Seeger RC, Maris JM, Khan J. Purpose: High-risk neuroblastoma is an aggressive disease. DNA sequencing studies have revealed a paucity of actionable genomic alterations and a low mutation burden, posing challenges to develop effective novel therapies. We used RNA sequencing (RNA-seq) to investigate the biology of this disease including a focus on tumor-infiltrating lymphocytes (TILs). Experimental Design: We performed deep RNA-seq on pre-treatment diagnostic tumors from 129 high-risk and 21 low- or intermediate-risk patients with neuroblastomas. We used single-sample gene set enrichment analysis to detect gene expression signatures of TILs in tumors and examined their association with clinical and molecular parameters including patient outcome. The expression profiles of 190 additional pre-treatment diagnostic neuroblastomas, a neuroblastoma tissue microarray, and T-cell receptor (TCR) sequencing were used to validate our findings. Results: We found that MYCN-not-amplified (MYCN-NA) tumors had significant higher cytotoxic TIL signatures compared to MYCN-amplified (MYCN-A) tumors. 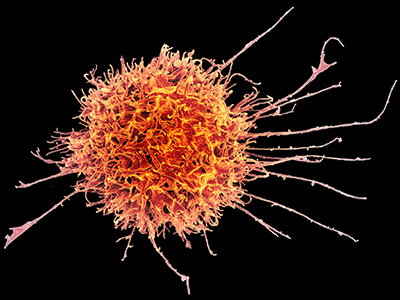 A reported MYCN-activation-signature was significantly associated with poor outcome for high-risk patients with MYCN-NA tumors; however, a subgroup of these patients who had elevated activated NK cells, CD8+ T-cells, and cytolytic signatures showed improved outcome and expansion of infiltrating T-cell receptor (TCR) clones. Furthermore, we observed up-regulation of immune exhaustion marker genes, indicating an immune suppressive microenvironment in these neuroblastomas. Conclusions: This study provides evidence that RNA signatures of cytotoxic TIL are associated with the presence of activated NK-/T-cells and improved outcomes in high-risk neuroblastoma patients harboring MYCN-NA tumors. Our findings suggest that these high-risk patients with MYCN-NA neuroblastoma may benefit from additional immunotherapies incorporated into the current therapeutic strategies.